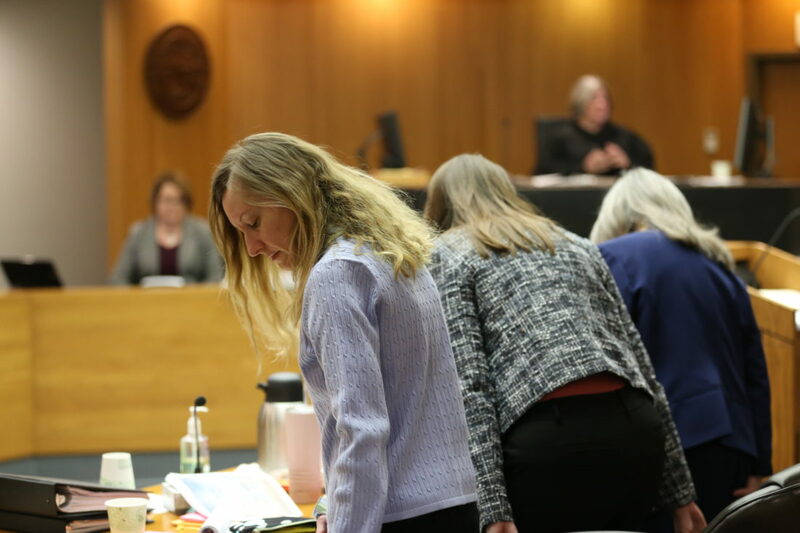 Tria L. Evans takes her seat after the jury enters the courtroom on Thursday, Jan. 31, 2019, the fourth day of her murder trial in Douglas County District Court. 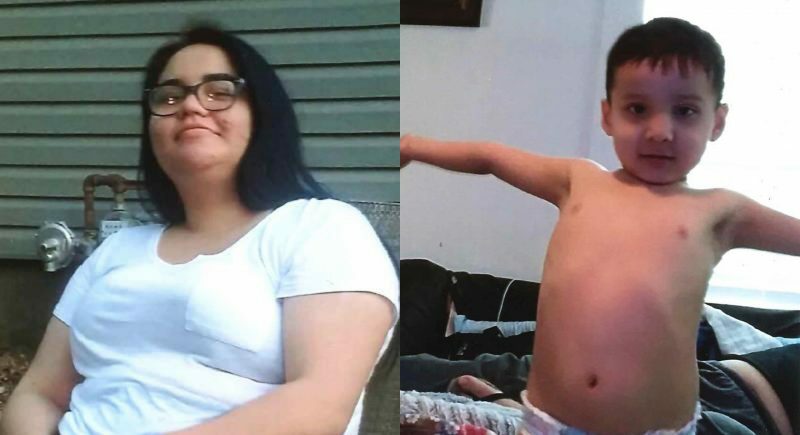 Two women accused of murdering Joel Wales appeared to be planning something in the weeks, days and hours leading up to the homicide, according to deleted text messages retrieved by law enforcement. Just over an hour later, Wales was dead — shot six times — and his body and the house it was in were burning. Forensic evidence was the theme of day four of the murder trial against Evans. While the trial is scheduled to last a week and a half, testimony appears likely to conclude Friday. 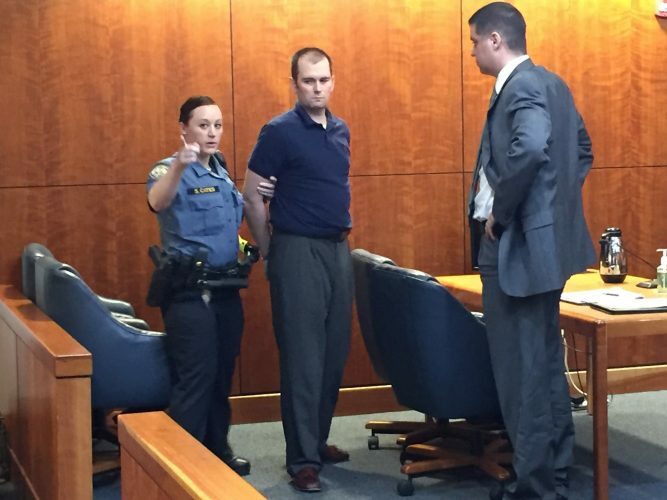 Prosecutor Amy McGowan said the state planned one more witness Friday. Appointed defense attorney Carol Cline said her team hadn’t decided whether to present a case, but she predicted it would be fairly short if they did. About 9:30 p.m. Nov. 3, 2017, neighbors reported a spurt of gunshots and a fire at Wales’ mother’s house at 1104 East 1200 Road, south of Lawrence. First responders doused the flames and found Wales, 34, of Eudora, dead inside. Evans, 39, of Lawrence, had a child with Wales and a tumultuous relationship. She was arrested Feb. 1, 2018, and charged with first-degree murder, conspiracy to commit murder, arson and aggravated burglary. Towell, 38, of Leavenworth, is charged with the same crimes. She is scheduled to go on trial in March. Evans and Towell are in custody on $1 million bond. 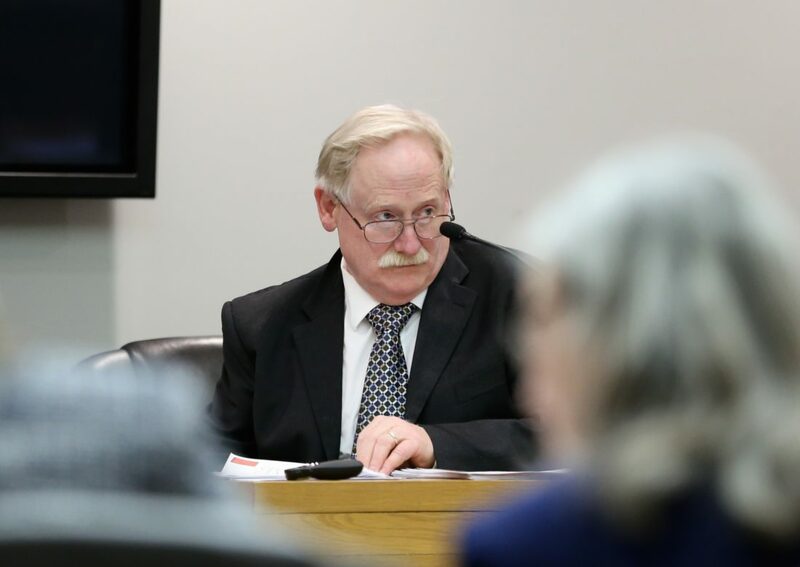 Gary Licht, a forensic document examiner, testifies during the murder trial against Tria L. Evans on Thursday, Jan. 31, 2019, in Douglas County District Court. Licht analyzed handwriting from an anonymous letter that is key evidence in the case and determined it matched that of Evans. On Thursday, Douglas County Sheriff’s Office digital forensic examiner Derek Welsh also presented texts between the two women after Wales was killed. 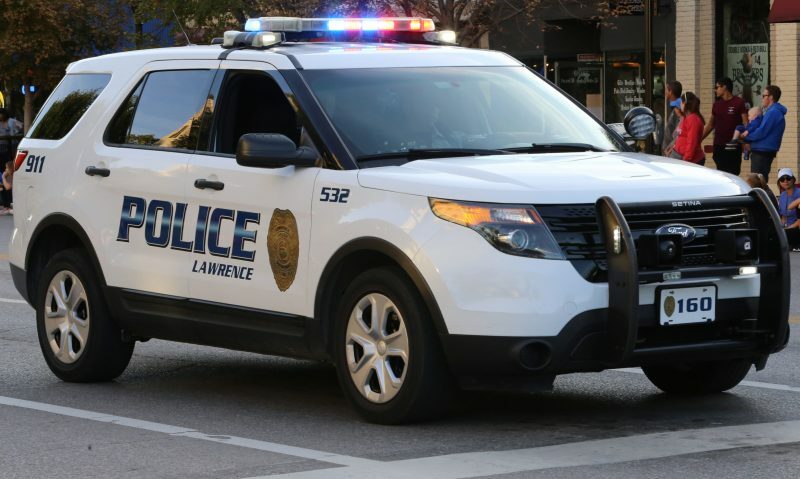 Thursday’s testimony began with Towell’s son confirming that she drove a red Mustang and left for Lawrence around 8 p.m. on the night of the homicide and came back home about 11 p.m.
Law enforcement officers used public traffic cameras around Lawrence to link Towell’s cherry red Ford Mustang to the crime. They also testified about what their search warrants turned up. At Evans’ house sheriff’s investigators found a box and receipt for a Smith and Wesson .380 Bodyguard pistol — but no gun. 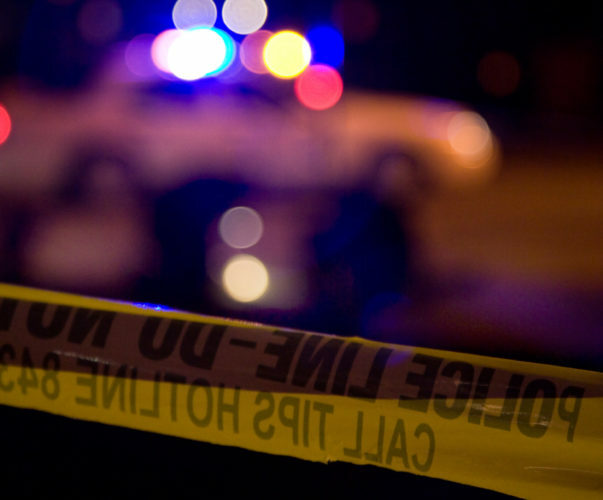 The six bullets and spent shell casings recovered from the scene, including Wales’ body, all were fired by the same gun, a firearms specialist from the Johnson County crime lab who tested them said. He also determined the make and model of that gun: a Smith and Wesson .380 Bodyguard. At Towell’s house investigators found a gas can in the trunk of her Mustang and two pairs of sneakers — one black, the other a distinctive gray and hot pink pair seen at Evans’ house. The shoes were wrapped in plastic grocery bags and stuffed into a chiminea on the back patio. The black sneakers had Towell’s DNA inside them and what appeared to be blood on the outside, other forensic scientists from the Johnson County lab said. However, their tests of the reddish-brown substance couldn’t conclude whether it was blood or, if so, who it came from. The gray sneakers were clean. Inside a backpack at Towell’s house, investigators also found an envelope with no return address, postmarked Sept. 19, 2017. A photo of Wales and an unsigned handwritten note were with it. On the note was scrawled Wales’ name, address, physical description, car and the names of some of his relatives and friends. Evans’ DNA was found where the envelope had been licked and sealed, according to testing at the crime lab. The envelope and anonymous note were in Evans’ handwriting, a forensic document examiner hired by the state found. Gary Licht, who said he does such work for the state of Iowa and as a private business, compared those items to multiple known writing samples by Evans. Among other unusual characteristics, Evans’ cursive features extra loops inside her a’s and g’s, and she dots her i’s with a long mark that slants down toward the right, Licht said, showing examples to the jury. All six bullets fired at the scene hit Wales. Erik K. Mitchell, former Douglas County coroner, testifies during the murder trial against Tria L. Evans on Thursday, Jan. 31, 2019, in Douglas County District Court. Mitchell performed the autopsy on victim Joel Wales when he died in November 2017. With the exception of the bullet to his arm, any one of those shots could have killed him on its own, according to former Douglas County Coroner Erik K. Mitchell, who performed the autopsy. One bullet hit Wales in the right side of his head and lodged in his brain, Mitchell said. Two lodged in his chest. Two more passed through his torso. The bullet that hit his arm also passed through. All the bullets hit Wales from the front, generally traveling from right to left, Mitchell said. They tore through almost every major organ, including his heart and lungs. 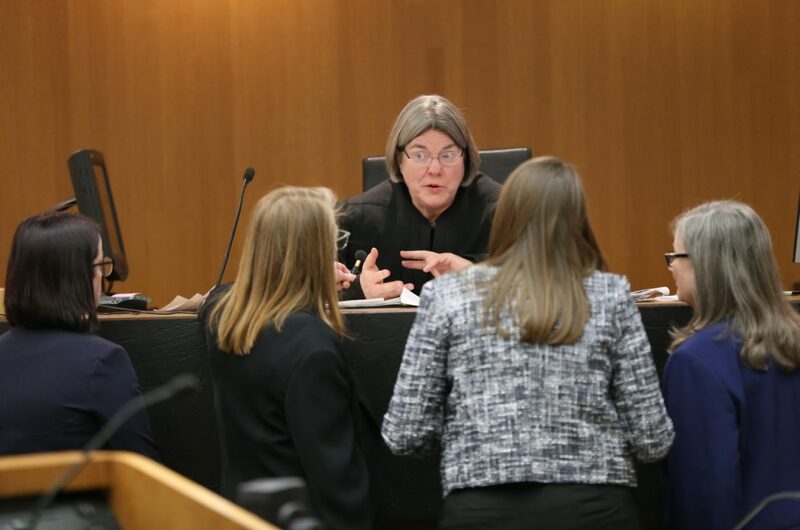 Judge Kay Huff confers with attorneys during the murder trial of Tria L. Evans on Thursday, Jan. 31, 2019, in Douglas County District Court. From left are prosecutors Nicole Southall and Amy McGowan, and appointed defense attorneys Kenzie Singleton and Carol Cline. When the jury left court Wednesday evening, there was a question about whether the trial would continue. 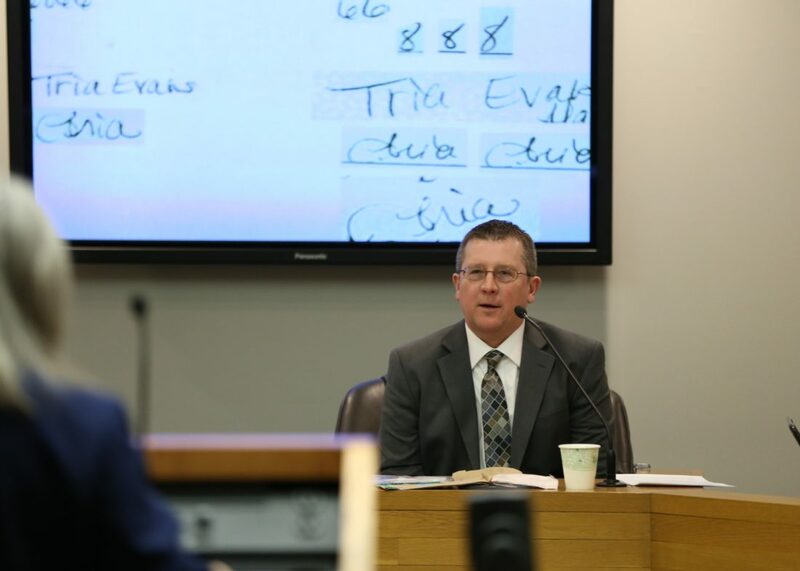 A man suffered a stroke on the witness stand and was rushed to the hospital before Evans’ defense team could cross-examine him. While noting the man was not a “star witness,” Cline said she was considering requesting a mistrial. Judge Kay Huff said Thursday morning that the trial would go on; however, she ordered jurors to disregard the testimony the man had given. With permission from the man’s wife, Huff shared that he had been taken to a Kansas City area hospital and was facing a long recovery from the stroke. Before his medical emergency, the witness, a federally licensed firearms dealer, testified that he did a background check and transferred a gun to Evans from an out-of-state seller prior to the homicide.